Our industry specific executive recruiters spend their days getting to know candidates and clients through networking and recruiting. Using a personalized approach in our recruiting efforts enables us to offer tailored solutions for each of our searches. Whatever the reason for your career change or job opening, our team of experienced recruiters can help make the transition a positive one. Our mission is to provide superior service, delivered in a rapid cost effective manner. Our goal is to make a positive impact on every client and candidate we service. From the initial call and introduction to the final delivery, we want our clients and candidates to feel they have had a beneficial and productive experience. 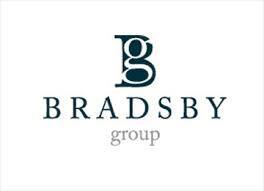 We here at Bradsby Group are dedicated to meeting the needs of our clients and candidates. With over 80 recruiters working across a variety of divisions, we offer each of our clients and candidates a complete recruitment solution tailored to their specific needs.